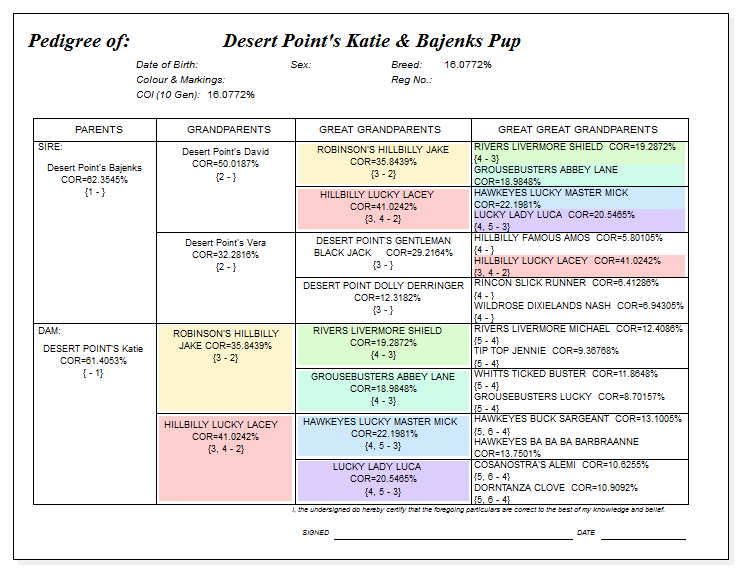 Desert Point's Katie bred to Desert Point's Bajenks: I consider this a serious attempt to bring forward the wonderful traits of a few dogs that I consider second to none. It's the wonderful temperament, along with outstanding versatility. 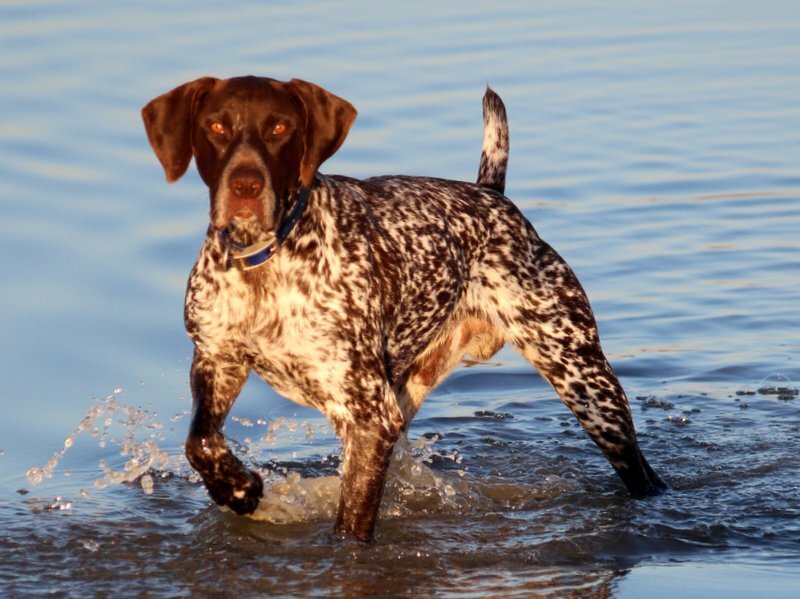 A very calm loving hunting and family dog. 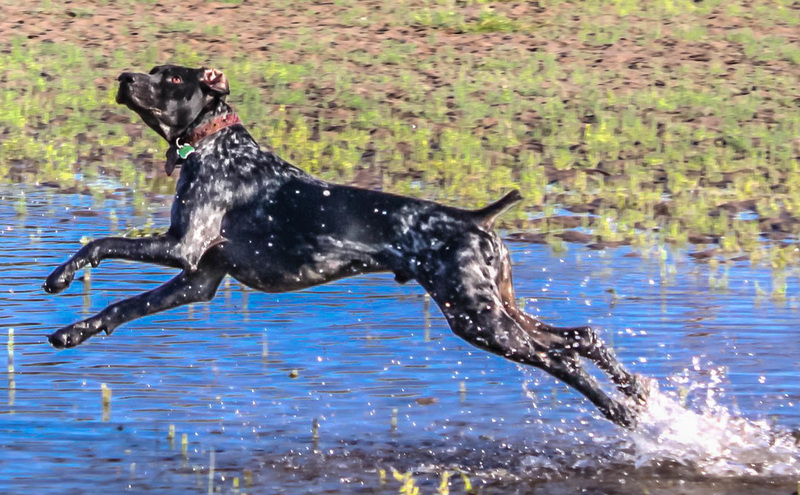 Great water work, good point and back, natural retrieve, and the ability of the dog to adapt to your wishes, whether in the house or hunting fields. Daughter of Jake, granddaughter of Shelds, Daughter of LACEY, Niece of Jill, full sister of David, half sister to Jack, and aunt of Bajenks. 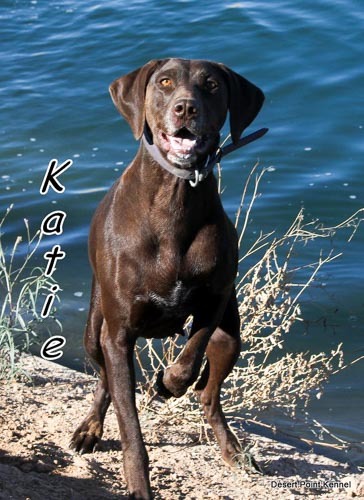 She is a wonderful versatile dog. Son of Desert Point's David, Grandson of Desert Point's Dolly, and Desert Point's Jack. Grandson and great grandson of LACEY. Great grandson of Bullet and Nash, Grandson of Jake, and great grandson of Shelds. 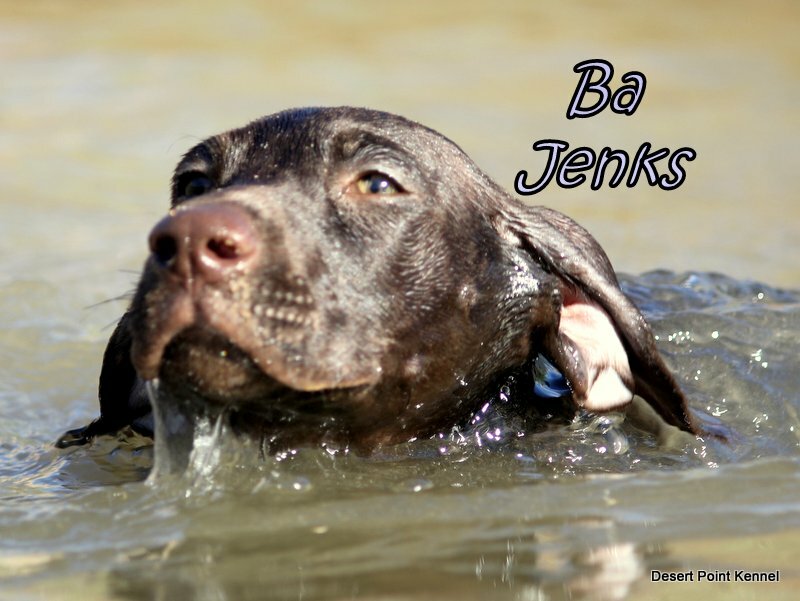 Bajenks is the son of our wonderful David, grandson of our wonderful Dolly, Grandson and nephew of our best dog Jack. Nephew of Katie, Jill, Fancy, and Lady. He is tied in deep to so many of our dogs and outside dogs that make up our dogs. This is a line breeding with a Inbreeding Coefficient of 16%, and a I C to LACEY of 41 %. We are hoping for a lot of locked in goodness. 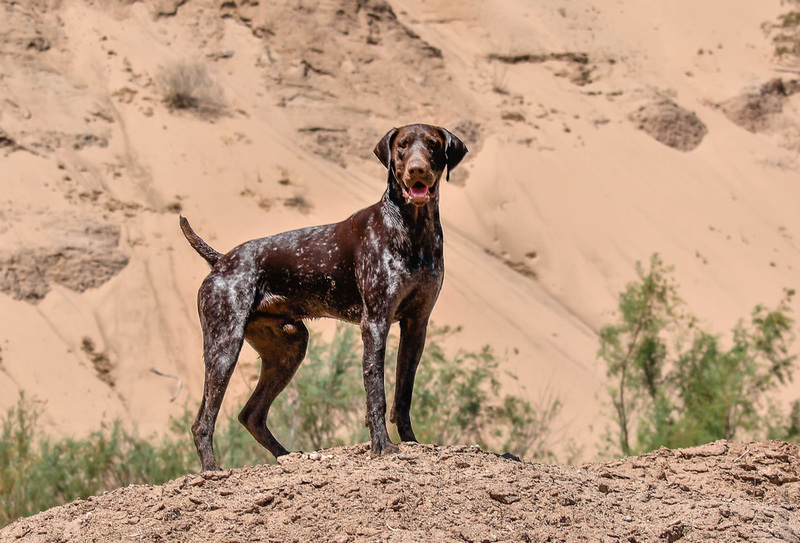 Desert Point's Jack: The Son of LACEY, Grandfather and Uncle of Bajenks, half brother to Katie and David. Our best dog ever. I can't even begin to tell you how much I love this great dog. Desert Point's David. Jack's half brother, and every bit his equal. Full brother to Katie, sire of Bajenks, and nephew of Jill. He also is a son of LACEY.